The 2012 Dodge Avenger got a re-do similar to that of its kissing cousin, the Chrysler 200. The exterior now has stronger echoes of the larger Dodge Charger -- musclecar attitude on a budget -- and the interior appointments and suspension tuning have been brought up to segment standards. The 2012 Dodge Avenger: the car with the expandable trunk. My vehicle is definitely reliable. I have owned it for 4 years and had nothing more than tune-ups and new tires put on. It is a basic model, but works for my needs. It is solid and runs like it did on day one. The seats are very comfortable. I drive long distances on a regular basis and am never uncomfortable. The back seat offers lots of legroom. The trunk is extremely roomy. The back seat folds down if I have items that may be longer. I have moved several times and the extra room has come in extremely handy. There are also plenty of cup holders. This is often an issue in vehicles. Also the middle console has a deep compartment that holds sunglass cases and other necessities. 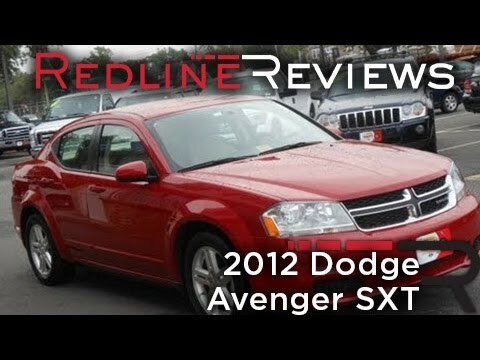 2012 Dodge Avenger pros and cons. My 2012 Dodge Avenger is very reliable. I would also say it is very low maintenance. I have had it since 2013. I haven't really needed to do any work on it other than new tires and an oil and filter change every three months. I will say that it is not very spacious at all. It seats five people. If you have two long legged people in the back seat there is not really any leg room in the back seat for anyone bother than children. If two car seats are in the back seat there is not much room for another person. So it is not really a family car. Overall good car to buy, but not really spacious. I have had this vehicle for almost 5 years and It's been a reliable one. I used it for road trips, going out with family, and on an everyday basis commuting. The vehicle did give me problems with the heating system. It was overheating and found out it was the thermostat. I had a new one installed but that didn't work. So I brought it to a mechanic and he did the same thing. Change the thermostat. Now the vehicle's tires have been really wiggling hard while driving and slowing down. The vehicle has been maintained whenever it is needs.